Millions in Puerto Rico were affected by Hurricane Maria’s catastrophic landfall on September 20, 2017. 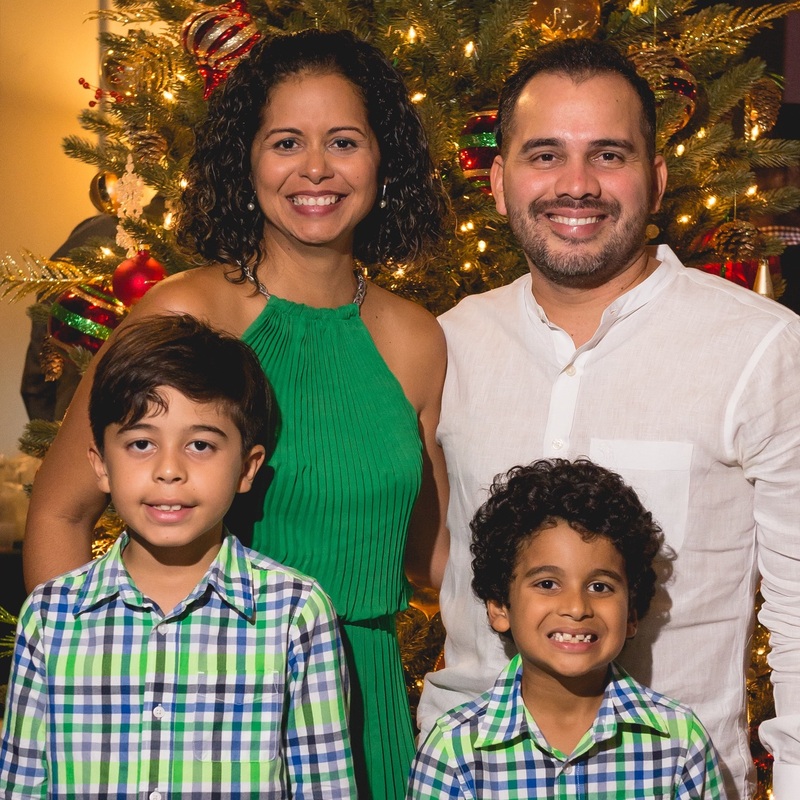 Langham Scholar Dr Jules Martinez has been working with his church, Iglesia La Travesía, to bring life-saving supplies to those in need. Jules and his wife Ana with their two sons, Jules Jr. (9) and Jared (7). Reports say that power has now been restored across 80% of Puerto Rico, after nearly half of the island had endured 90 days without electricity. 97% now have access to water, though the supply may be intermittent and require boiling before drinking. Since October 3, over 304,000 displaced Puerto Ricans have fled to Florida. 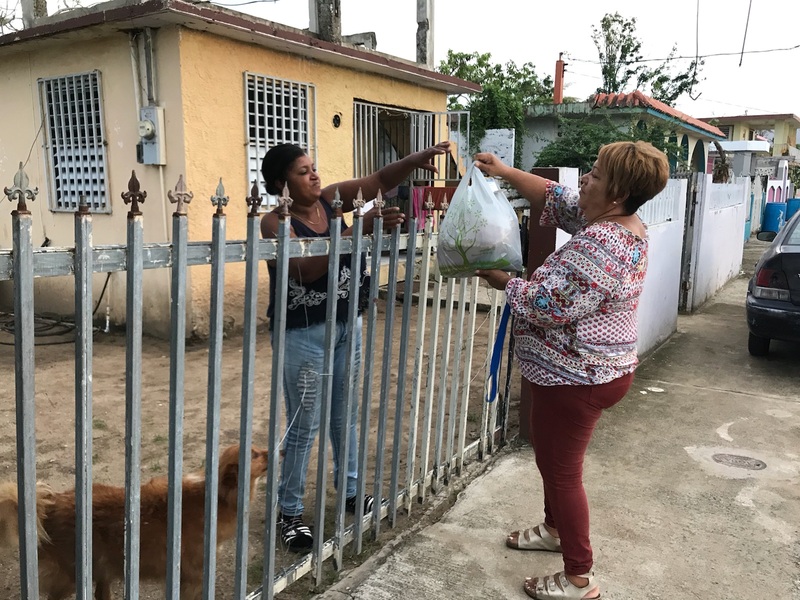 Even before Hurricane Maria ravaged the island’s infrastructure, the local government had already been facing a $72 billion debt, due to population decline and severe recession over the past decade, and more than 12% of Puerto Rico’s 3.4 million people had been unemployed, with 45% living in poverty. Jules earned his PhD in Theology at Trinity Evangelical Divinity School (USA) in 2011. Fortress Press recently published his dissertation as A Visible Witness: Christology, Liberation, and Participation. Last year, the Global Church Project recognized Jules’ book, which explores Latin American Protestant theology, as one of “15 Majority World Books that Will Change the Way You See the World in 2017.” Jules serves as a pastor and theology professor in Puerto Rico, where he continues to lead relief and rebuilding efforts. Jules and his wife Ana have two sons: Jules, Jr. (9) and Jared (7). Jared and Jules, Jr. after the restoration of electricity. Thank you for being so mindful of us and of our mission in Puerto Rico. One bit of good news is that our electricity came back on December 23, after 94 consecutive days of blackout! Here are our joyful boys. 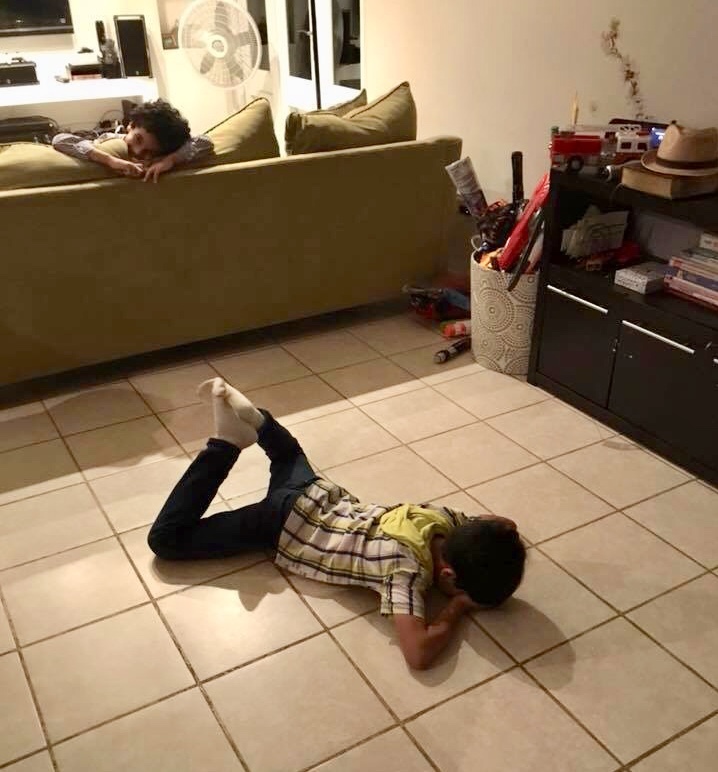 Jules, Jr. is kissing the floor and thanking God! Ten days after Hurricane Maria devastated Puerto Rico, we formed the Christ Collaborative Response Team. 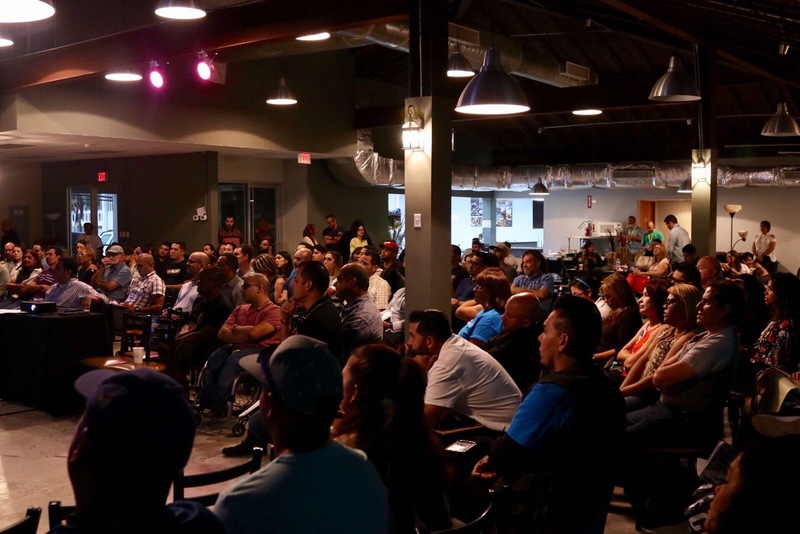 It began with pastors from seven churches sharing resources in order to attend to the needs of thousands of people. Our strategy is to find local churches and religious leaders, and equip them to distribute in their own communities so that both physical needs and emotional needs can be met. We acquired supplies and delivered them to predetermined distribution points to be organized into survival kits. Then we all loaded up our vehicles and performed mission after mission – over 200 trips. Christ Collaborative volunteer distributing supplies. We continue to reach neighbors with food, supplies, and even blue tarps for damaged roofs. Our collaboration teams have distributed and installed over 1,000 of them. We even had a community surfing contest to reach surfers! Participants could enter by donating cans of food! Winners were given symbolic cans as trophies. The food was then distributed to those in need. In November, we coordinated the first Christ Collaborative island-wide seminar to equip leaders and pastors in transitioning from emergency relief work to church-led community development. It was a success. Over 150 church leaders and community organizers from Puerto Rico showed up. 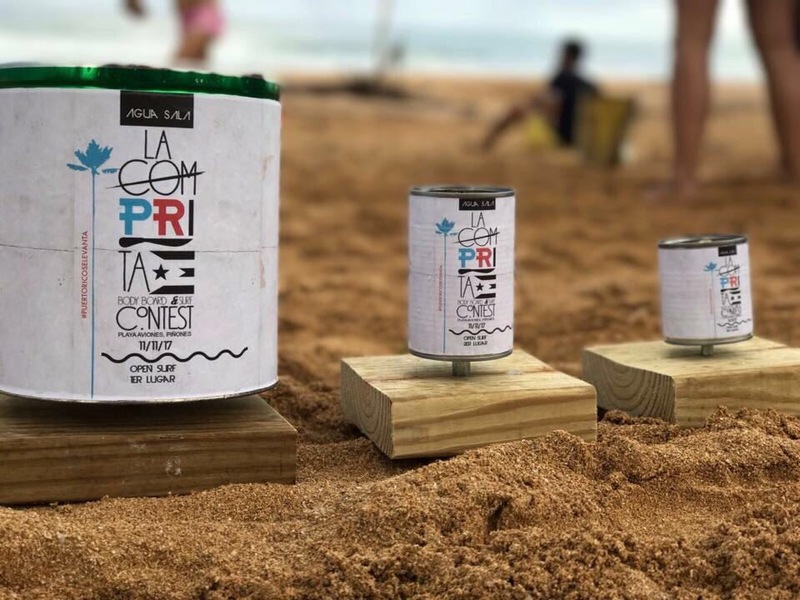 Canned food “trophies” for the surfing contest. Last month, our ministry team at La Travesía decided to adopt two public schools that serve elementary-aged kids. One of the schools serves special-needs children. We held a Christmas celebration for 60 faculty members and administrators, and provided lunch and gift cards. We made a commitment to serve the schools in this new year by attending to the wellbeing of teachers and families in need, and by rebuilding recreational areas for the children. In all of this the light of the Gospel was made visible in speech and acts! Please pray for Dr Jules Martinez and the people of Puerto Rico. Find out more about how you can get involved. Christ Collaborative Seminar Impact of Christ Collaborative in Puerto Rico.